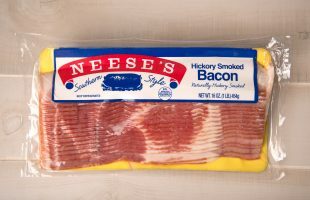 Thats right, Neese’s now has bacon! Our bacon’s rich, hickory smoked flavor is not too salty and not too sweet- it’s just right! 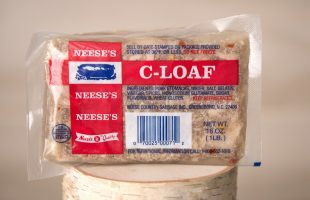 There are lots of folks who don’t know what C-Loaf is. But if you grew up on the farm, you know and love it. Try some – even if you live in town! This is the original recipe from Mr. Thede. It hasn’t changed in almost 100 years, and it’s still delivered fresh every day. It is minimally processed and contains no MSG, preservatives, additives, or nitrites/nitrates. 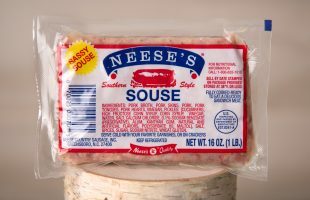 Lots of folks think this is a northeastern product, but in fact it’s amazing how much Neese’s Scrapple people in the South buy. 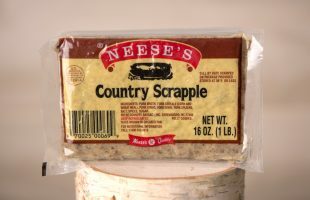 It’s also rewarding to hear people from the North tell us how good our Scrapple is. This is our original recipe with a smooth taste and just enough sage added to please sage lovers. 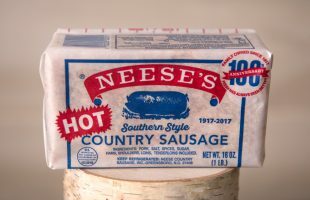 For those who like a little zestier taste, we made Neese’s Hot Sausage. Just like all our sausage, it’s fresh – never frozen – and totally without preservatives. 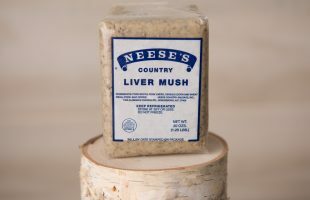 This is a regional variation on Liver Pudding and it has a different recipe, including spices and seasonings. For some folks in western North Carolina there is no substitute. Miss Annie’s original. 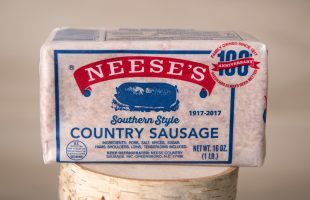 This fully-cooked Southern favorite features our special spices. 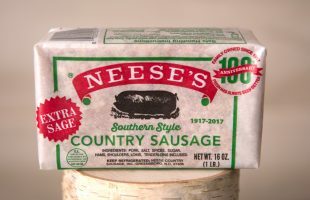 It’s 96% fat-free and, believe it or not, a favorite of kids who love it on a sandwich or warmed in the pan for breakfast. 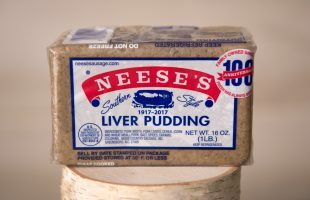 By the way, it doesn’t taste like pudding and it doesn’t look like liver. This old-time favorite has a flavor some swear you can’t find anywhere else in the world. But you can find it in your favorite supermarket.